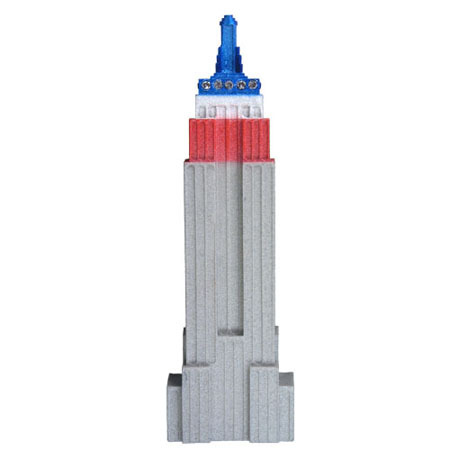 We machined this “Destinations” design at the request of the Empire State Building gift shop. It is now available to everyone in three colors, limestone, red, white & blue lighting scheme, and pink. About 3.75″ high.